My inbox is often filled with heartache. So many people writing, struggling in a state of overwhelm, not knowing where to turn as they strive to change what breaks their hearts. 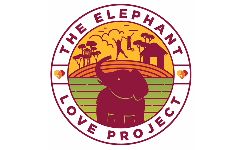 For all of us at Heart of Ganesh, it was the plight of the elephants that had us from the start, but it doesn’t matter what your Cause Calling is—whether its animal abuse or racism or poverty or trafficking or water rights, and on and on and on the list goes—if we simply fight, but do not allow ourselves to be transformed in the process, then we have missed the bigger picture of Compassionate Activism. Allow yourself to be transformed through and with the very love that urged you to speak up in the first place—then others too will discover how to transmute the immense suffering of it all into a peaceful heart that can rise up the next day, shining, and do it again. Whatever your Cause Calling is, do the work there is to do while recommitting daily to the practices that help you remember how to be happy along the way.